Nestled in between a Yogen Fruz and a Relax The Back is this West Valley favorite, which's as well-liked for its skewers as it is for its sushi. 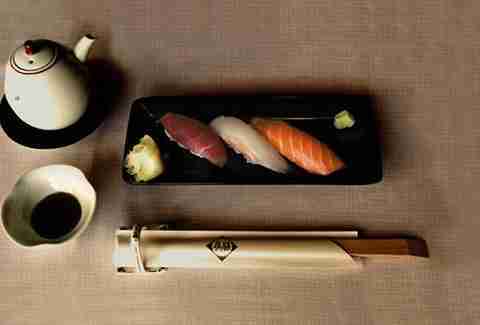 Get the tuna-topped lemon roll and a skewer of sea bass, and you're all set. 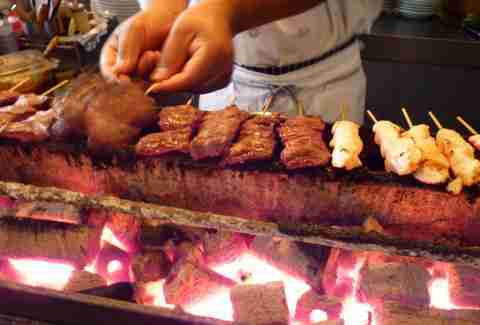 Except for the skewer of lotus root and chicken. And the Asian roll. 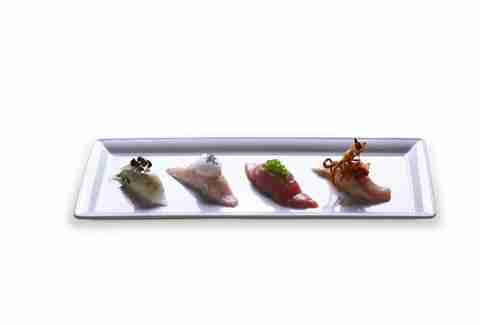 And some yellowtail sushi. Okay, you're not really all set. This studio-exec staple recently changed chefs, but that doesn't mean they're totally abandoning the crazy rolls that made them famous (like the soy paper/truffle aioli/Parmesan cheese/baked crab "Sam Roll"), but rather, the sushi game's been upped, with delicately cut blue fin and ultra-fresh uni. Above Joe's Pizza on Sunset is this longtime favorite, where in Nozawa-esque fashion, you're warned about what they won't serve you ("No! 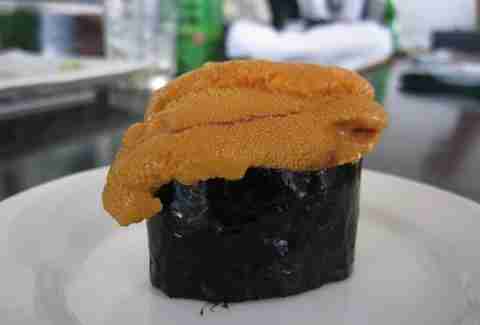 California roll"; "No! 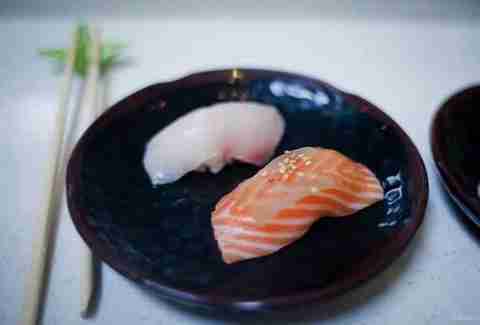 Trendy sushi"), before they deliver what they will: imported-from-Japan fish that's melt-in-your-mouth wonderful. 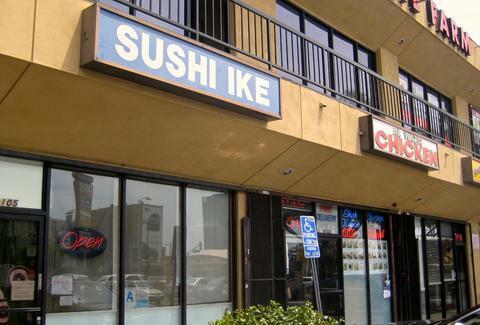 A perennial Thrillist favorite, some say Ike -- which shares a Gower mini-mall with a 7-Eleven, a chicken place, and a weed dispensary that kind of comes and goes -- has gone downhill since its namesake chef moved to Pasadena to open a non-strip mall sushi place. We say the seared salmon, the sweet shrimp, and the perfectly cooked, not-chewy octopus beg to differ. Does it count as strip mall sushi if the original location is under an indiscriminate office building, and this one's a blink-and-you'll-miss-it corner mart WITH A SECOND SUSHI PLACE RIGHT NEXT DOOR? If the fish is this good, and the prices are this fair (you can do lunch here for under $30, which is expensive for lunch, but super reasonable for amazing fish), then yes. Yes it does. Another in the canon of "Um, are you sure this place is legit?" based on the surroundings (pizza chain! Tobacco! Drapery! 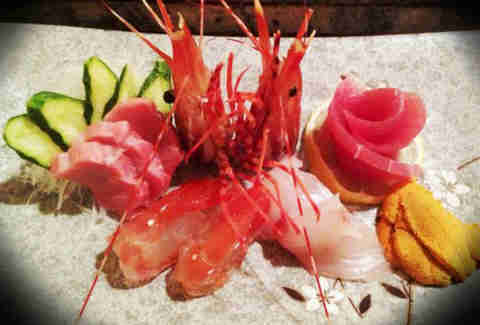 ), this fishery has a Sasabune-trained chef, which means excellently vinegary rice, ultra-fresh fish, and a non-wallet-crushing check. 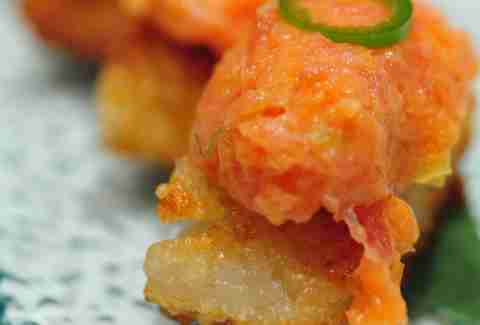 We seriously might've gotten killed by the Valley Food Police if we didn't include the original Katsu-ya on this list. With way more attention to detail (and rice!) 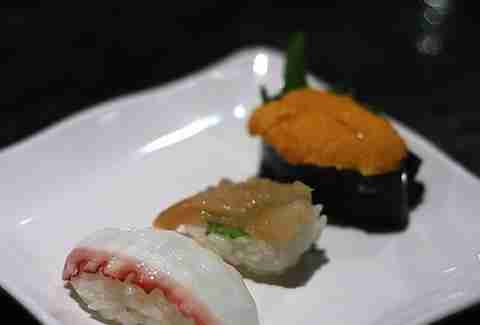 than the fancier, more famous sister locations, the first location's baked crab hand rolls and spicy tuna crispy rice still stand out from the competition. 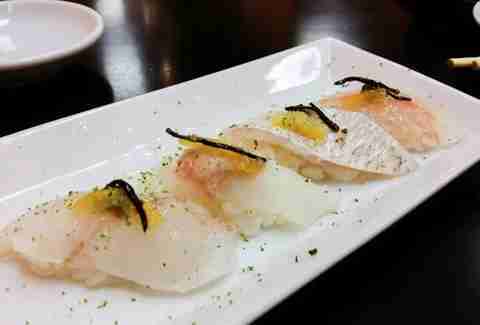 Stuffed in the back corner of a Beverly Blvd strip mall -- like, the super-back corner, like it's something to be embarrassed about -- Hirozen breaks out crazy-good nigiri and an amazing eggplant/chicken dish that'll make you consider trying cooked food occasionally, as well. "Canoga Park??" you say? Yes, we say. And Pulitzer Prize-winning food writer Jonathan Gold -- who helped put this temple of albacore (and tuna belly, and tamago, and eel, and raw beef) on the map -- concurs. Jeff Miller is the Senior City Editor of Thrillist LA, and would happily eat sushi every meal for the rest of his life, including breakfast. He's at @thrillistla on Twitter and @jeffmillerla on Instagram, where he often posts photos of sushi. Like, probably too often.